from another era and unveiling its totally affordable price tag is somewhat unbeatable, particularly when you realize that no one else will have it. For some, learning how to wear vintage clothing without looking like you are in fancy dress can seem like a tricky and quite frankly overwhelming task. But there are a few simple steps you can follow that will ensure your vintage bargain will still look on-trend no matter what decade it’s from. 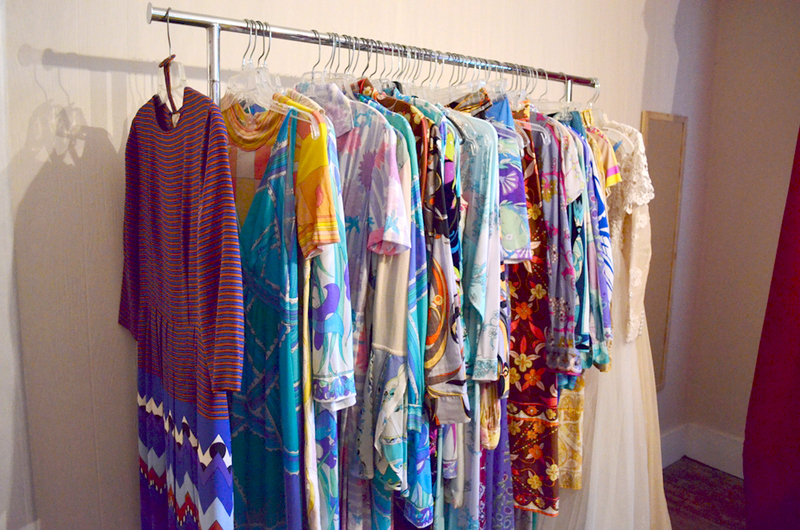 The beauty of wearing vintage is that it is the complete opposite of traditional retail. The selection is limited and handpicked by shop owners, so each piece is unique and exclusive to you. If your style revolves about being original and making statement, vintage shopping is a great way to build a unique wardrobe that tells a story of the past, unlike anyone else’s. Vintage designs can often be bold and over the top and appear scary at initial glance, particularly if they are from the 50s and 60s. A great way of complimenting the daring polka dots and psychedelic patterns is to add denim. This instantly updates any vintage piece by incorporating a smart-casual vibe as well as neutralize the bold colors making them much more wearable. Pair a denim jacket over any vintage dress or skirt for a super chic look. Likewise, a vintage blouse paired with some mom jeans and white trainers is a super cute way of transforming the old into the new. As the saying goes, “what is old will become new”. In order to avoid looking as if you are wearing a costume, pick a piece you want to showcase and style around it by mixing it with modern neutrals. For example, pair a beautiful vintage piece with a modern accessory. Wearing belts is a great way of taming the shapeless and voluminous vintage dresses. A gold or silver chain belt around the waistline of a 60’s vintage dress will not only accentuate your figure, but also add a modern point of focus to the beautifully intricate design and shape of the dress. Vintage or not, accessories are always a good addition to any outfit. If you are keen on adding a touch of vintage to your wardrobe but want to keep it subtle then adding accessories is the best way you can mix the old with the new in a delicate way. Try adding a vintage handbag and some sunglasses to your outfit for a subtle vintage look. A cool pair of retro sunglasses can be worn all year round. They will add a pop of color and dimension to the plainest of outfits and are a fun yet effortless way of making a statement and personalizing an outfit. If you have the perfect vintage outfit in mind that you are dying to wear but are still trying to figure out how to keep it modern, then a natural hair and makeup is the easiest way to do this. It is crucial that you avoid theatrical makeup and stick to a natural look as this will save you from looking as though you are in fancy dress. A messy bun with a neutral, bronzed makeup looks great with any vintage outfit. Avoid wearing bold lip colors with your vintage garments, stick to one or the other.